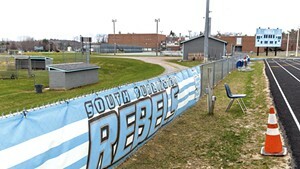 Rebel banners at South Burlington High School during the 2016-2017 school year. 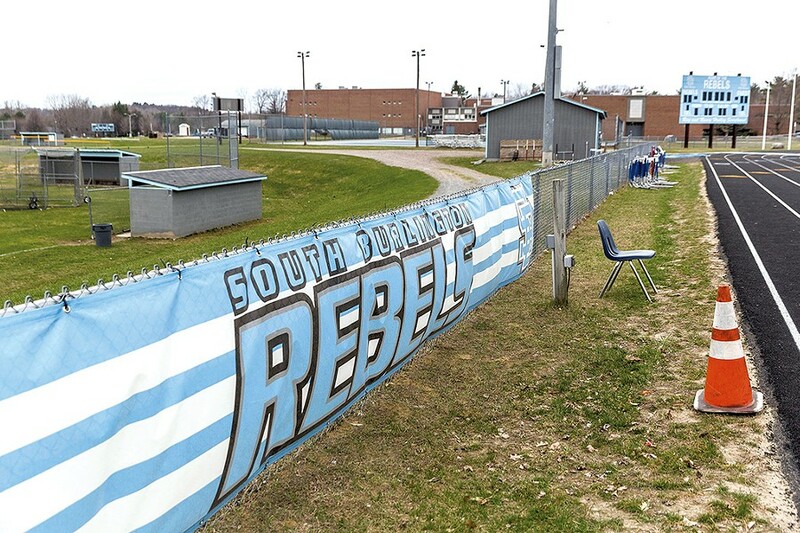 South Burlington residents who want a public vote on the Rebels name change won a round in court this week. Vermont Superior Court Judge Robert Mello cleared the way for a lawsuit on the question to go to trial, and he denied the school district's motion to dismiss the case. Members of a group called the Rebel Alliance raised funds for the lawsuit. The 19-page ruling, issued Tuesday, generally supported the residents' argument that the school board violated the Vermont constitution by refusing to put the name question on the ballot after at least 5 percent of city voters signed a petition calling for a public vote. The ruling suggested that the school board could be ordered to put the question on the ballot. "If the facts relied upon by the Plaintiffs turn out to be true, then Plaintiffs would be entitled to an order in the nature of a writ of mandamus compelling the South Burlington School District to put Plaintiff's ballot question to a vote by the electorate," Mello wrote. "The District's duty to put Plaintiff's ballot question to such a vote is imposed by the Constitution and is certain, clear, and non-discretionary. " The school board voted in February to change the name after critics said it had racist overtones involving the Confederacy. Defenders of the nickname said it was a harmless tradition that dated back to South Burlington's rivalry with Burlington, slightly to the north, and had nothing to do with the Civil War. Whatever the origin, at times in the school's history students waved Confederate flags and played "Dixie" at football games. A few months after the vote to drop the name, the school district adopted a new mascot, the Wolves. Student athletes have been playing under that name since September. The ballot question would be advisory. 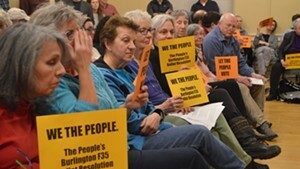 It asks if all South Burlington sports teams should be known as the South Burlington Rebels and if the school board should be required to retain the name. However, even if the majority of voters say yes, the school board would not be legally obligated to obey, district lawyers argue. District attorney Pietro Lynn had argued that since the question is advisory, the argument to put it on the ballot is weak. He also cited case law in which the courts upheld the city's right to reject an abortion-related ballot petition years ago on the grounds that elected city officials had no jurisdiction over the question.